14 x 14 x 2 inches overall. 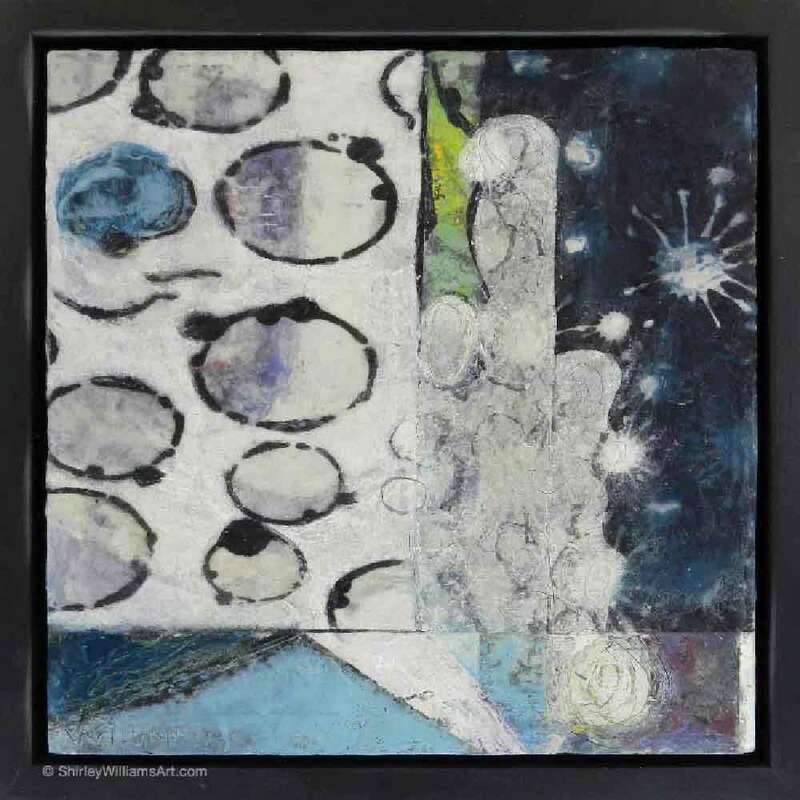 Encaustic wax & mixed media on wood. Float-mounted, black wood frame. Ready to hang. This original encaustic painting is inspired by the idea of subconscious imagery floating in our thoughts. My approach is to juxtapose shapes and textures that evoke associations with the dream state.